Since Hippocrates first brandished a pair of bronze forceps, care providers have aimed for quality. It's always been the goal to deliver safe and effective care to best extent possible. But there's always room to improve. And nowadays, with the shift from volume to value finally taking hold, moving toward better clinical care is no longer optional. This past fall, the U.S Department of Health and Human Services announced it will invest $840 million over four years to help 150,000 clinicians improve patient outcomes, reduce unneeded tests and avoiding unnecessary hospitalizations. One of the central pillars of its Transforming Clinical Practice Initiative is to help providers regularly use electronic health records to examine data on quality and efficiency. A few months later, in January of this year, HHS upped the ante – making an 'historic' announcement of ambitious new timelines toward value-based care. Furthering its embrace of alternative reimbursement models such as accountable care organizations and bundled payments, HHS set a goal of tying 85 percent of all traditional Medicare payments to quality or value by 2016. "We believe these goals can drive transformative change, help us manage and track progress, and create accountability for measurable improvement," said HHS Secretary Sylvia Burwell. The clock is ticking on clinical quality improvement. If hospitals and practices want to be paid in the years to come, it's incumbent on them to show they're delivering better care. "Provider organizations are under this increasing imperative to move the needle on high-priority targets as we shift from volume to value," says Jerry Osheroff, MD, a former chief clinical informatics officer and the founder of TMIT Consulting, which seeks to help providers, vendors and other stakeholders improve processes and outcomes. "What does 'value' mean? It means taking care of chronic disease, taking care of acute disease, not causing unnecessary harm," he says. "There's now measures associated with all these things, and performance on those measures is driving reimbursement. Having care delivery be efficient and effective is no longer a nice-to-do, which it's been for many decades. It's now a gotta-do." Osheroff is also editor-in-chief of HIMSS' award-winning guidebooks on clinical decision support. And CDS, he says, is a crucial component in helping providers get to where they need to go with their quality improvement projects. But a proper understanding of what CDS is (hint: it's not about EHR alerts) and how to approach it (people come first!) is essential. In his just-published HIMSS book on clinical informatics, Ken Ong, MD, chief medical informatics officer of New York Hospital Queens, illustrates just how important CDS tools and processes are to modern practice. To take just one example: The number of medical journal articles has quadrupled from 200,000 in 1970 to more than 800,000 in 2010, Ong points out: "With the current number of articles published annually in medical literature, a recent medical school graduate who reads two articles every day would be 1,225 years behind at the end of the first year." Indeed, "if a physician followed all the recommendations from national clinical care guidelines for preventive services and chronic disease management and added the time needed to answer phone calls, write prescriptions, read laboratory and radiology results and perform other tasks for a typical patient panel of 2,500, he or she would need 21.7 hours per day," he writes. "Information overload coupled with a paucity of time suggest the value of CDS and greater team-based care." 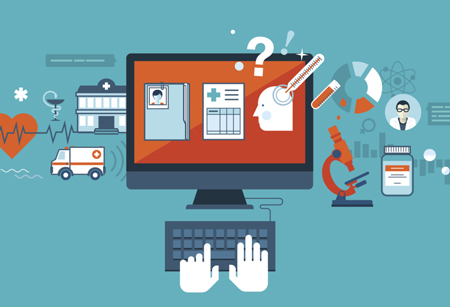 Clinical decision support tools are myriad and varied. "The most frequently cited example of CDS is a drug-allergy interaction alert to a physician at time of order entry," Ong writes. "Drug-drug, drug-allergy and drug-food interaction alerts are indeed prototypical examples of CDS, but there are other tools in the CDS toolbox. Each CDS intervention can have a different use case, target audience and fit in a particular point in the clinical workflow." The book offers a long list of examples: alerts and reminders; clinical guidelines; clinician patient assessment forms; data flow sheets; documentation templates; infobuttons; order facilitators (order sets, order consequents, order modifiers); patient data reports and dashboards; protocol/pathway support; task assistants; tracking and management systems. But the optimal approach to clinical decision support should not be focused primarily – or even secondarily – on technology. "This work is about people, processes and technology – in that order," says Gregory Paulson, deputy director of programs and operations at Trenton Health Team. Trenton Health Team is a somewhat unique partnership among the two hospitals of Trenton, N.J. – St. Francis Medical Center and Capital Health – and the Henry J. Austin Health Center (the city's only federally qualified health center) and the Trenton Health Department. Trenton Health has five main strategic initiatives, says Paulson: expand access to primary care by supporting the FQHC and other area clinics; provide community-based care coordination; engage members of the community in their health and wellness; utilize data to improve the population and become a successful Medicaid ACO under New Jersey's ACO demonstration project. It's "a bit of a unique ACO model, in that it's a geographic distribution – we're responsible for those who reside in our geography regardless of where they receive care," he says. "It's a bit of a forced population health model." Toward those lofty goals, Trenton Health Team has been working since summer 2014 – with help from a $415,000 state grant and Osheroff's consultancy – to develop a clinical decision support system to improve blood pressure and diabetes control for patients in its community. The goal is to improve care processes at healthcare institutions across Trenton, deploying targeted CDS tools to make meaningful improvements in those chronic and all-too-common conditions. "This initiative aims to combine the power of data, clinical intervention and the coordination of community providers to improve patient health," said N.J. Department of Health Commissioner Mary O'Dowd, in a statement when the grant was first announced. Her emphasis on providers is key. Over the past five year or so, CDS has become synonymous in too many minds with EHR-based alerts, says Paulson. Post-HITECH act, many providers are irritated or fatigued by these IT interruptions, often to the detriment of quality care as they ignore the prompts in droves. "I think one of the big errors of meaningful use and the adoption of health IT to date has been the focus on technology, without looking at the processes that were implemented and the people working with those processes," he says. By making CDS a key measure of meaningful use, "CMS and ONC went a long way toward reinforcing a completely wrong and counterproductive notion in the Stage 1 rules," said Osheroff in another interview earlier this year. It's not an interruptive, computer-based intervention, he said. It's "a process for enhancing health-related decisions and actions with clinical knowledge and patient information to improve health and healthcare delivery." at the right times (for key decision or action). Embracing that team-based approach to data has already started to pay dividends in Trenton, says Paulson. One of the key strategies THT has followed is to make a "simple worksheet that analyzes the clinical workflow to see a normal patient: what happens out in the community, what happens before a visit, what happens in a morning huddle, what happens in rooming the patient, what happens in a provider encounter, what happens in follow-up," he says. "When we first were looking at doing this work, we didn't quite understand what the work would be like," he admits. "It seemed so simple and rudimentary that we didn't see how anything of value could come from it. But the things we uncovered are just remarkable." We hear all the time about "process improvement, Lean Six Sigma and all these things," says Paulson. "But actually going into a clinic and asking people, 'OK, what happens now? Then what happens? Then what happens?' Walking through that process you'll get amazing results." To take just one example: "We have a clinic in one of our hospitals whose patients are 60 percent Spanish speaking," he says. "They'd spent all this money on this great automated phone call system to remind people about appointments. They realized only through doing this analysis that it functions only in English. Somebody just missed this step and nobody realized it." For those keeping score at home: People & Process 1, Technology 0. "It's great if you have this registry that shows your out-of-control diabetics," says Paulson. "But if your method of remind people to come in for an appointment isn't being use effectively, the technology doesn't matter." But while technology may be tertiary to clinical decision support, it's still a critical piece. And if quality improvement is truly going to take hold, the EHRs need to improve too. Too often, "when someone things of a clinical decision support system, they think of a pop-up alert: something that, in the middle of what you're doing, gives you a piece of information that the technology thinks is important and wants you to do something to fix," says Paulson. That breeds antagonism toward CDS, rather than an earnest embrace.